I’m going to start referring to the Washington Wizards as the Bullets on my blog, because the name never should have been changed. I’ll continue to refer to the team as the Wizards on Examiner.com and Guysnation.com, but here on my blog they will be the Bullets. John Wall had 19 points and a career high 15 assists, and Nick Young scored 22 of his 25 points in the second half to lead the Bullets to a 108-101 victory over the Utah Jazz Monday at Verizon Center. The Bullets led almost the entire second half as their athleticism was enough to get by the discipline and defense of Utah. Washington raised its home record to 12-8 in front of an announced crowd of 14,925. The Bullets are winless in 19 games on the road. The Bullets pulled away from the Jazz in the third quarter during a 21-8 run. Wall, the number one pick in the NBA draft last summer, threw an alley oop pass to Javale McGee who threw down a windmill dunk with his right hand. McGee’s free throw gave Washington a 62-55 lead. Kevin Grevey goes up for a shot in the Washington Bullets' old red, white and blue uniforms, circa 1980. Washington Wizards general manager Ernie Grunfeld announced that the Wizards will change their colors back to red, white and blue for the 2011-2012 season, a move that has been rumored for months. This comes as great news for longtime Washington Bullets fans, who never liked the change of the name to Wizards or the change of the colors to blue and bronze. Unfortunately, the Wizards will probably never go back to the name Bullets, but at least owner Ted Leonsis will change the colors back to red, white, and blue, fitting for a team in the nation’s capital. The Wizards, Caps, and Nats will all wear patriotic colors. 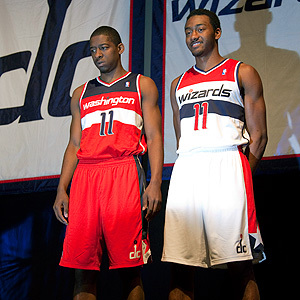 Here’s hoping that the Wizards’ new unis won’t be 99% red like the Caps’ and Nats’ uniforms. Keep some blue. Also, add back the stars on the shorts. The photo to the left shows former Bullet Kevin Grevey in the Bullets’ old road uniforms. The photo below shows a retro Wes Unseld home uniform. Both were among the best in the history of the NBA. It’s a great move by Leonsis, but it’s also a no-brainer. Now maybe Leonsis will improve the Wizards’ website and add more history about the old Bullets. It’s a shame that that 1978 championship team has been virtually forgotten. This retro Wes Unseld jersey has become one of the NBA's biggest sellers. Photo by Mike Frandsen. In emails over the last several months, Leonsis has vowed to improve the franchise’s recognition of its great history, but quite frankly, Leonsis hasn’t kept his word. 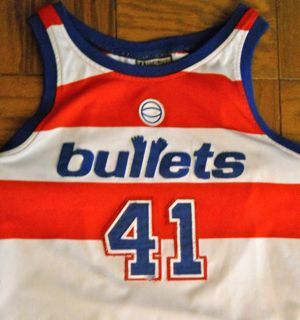 I complained multiple times that it was impossible — not hard, but impossible — to get an Elvin Hayes Bullets jersey from the Wizards or anywhere on the internet. (Ok, you can get one from southeast Asia on ebay, but it doesn’t look right). Keep in mind that the Big E was the 23rd-best player in the history of the NBA according to Slam Magazine, ahead of players such as Bob Cousy, David Robinson, Willis Reed, Kevin Garnett, Wes Unseld, Walt Frazier, and Patrick Ewing. Leonsis assured me that someone would get back to me — no one ever did. I left messages with Wizards’ personnel and no one called back, and no one really knew what I was talking about. Being a great owner takes more than designing a good website and not being Daniel Snyder. It takes keeping your word. 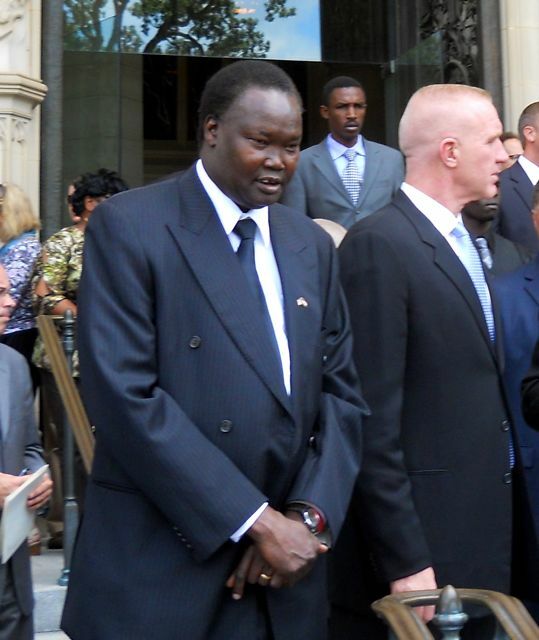 The funeral for former Washington Bullets 7’7″ center Manute Bol was held Tuesday at the National Cathedral in Washington, D.C. Bol played 10 seasons in the NBA and became a prolific shot blocker, but was best known for his humanitarian work in his native war-torn Sudan. Bol died at the age of 47 of kidney failure and complications from the skin condition Stevens-Johnson syndrome at University of Virginia Hospital in Charlottesville June 19. Bol had made trips to Sudan in recent years and was given medication that may have resulted in side effects that caused Stevens-Johnson syndrome. 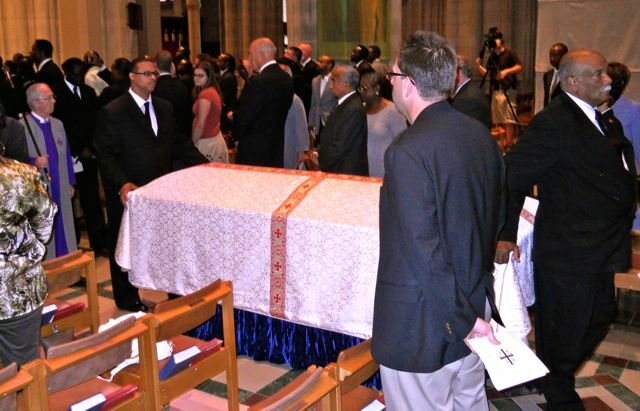 Approximately 150 people attended Bol’s funeral, where former National Security Advisor Robert McFarlane, U.S. Senator Sam Brownback (R-Kansas), friends, and relatives spoke. 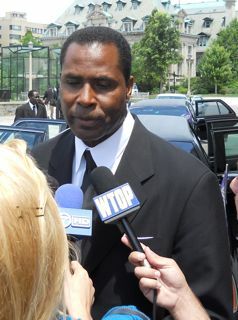 Former teammates including Chris Mullin attended the funeral, as did former Bullets General Manager Bob Ferry, who drafted Bol in the second round in 1985, and former NBA players Buck Williams and Rory Sparrow. Bol was a great humanitarian and will be sorely missed. To see the rest of my article on Examiner.com, click here. All photos below by Mike Frandsen. 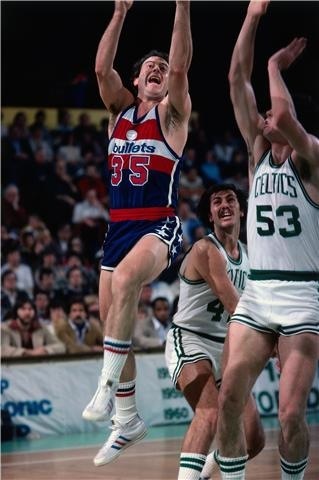 Bob Ferry, former Washington Bullets GM who drafted Bol, called him the greatest shot blocker ever. 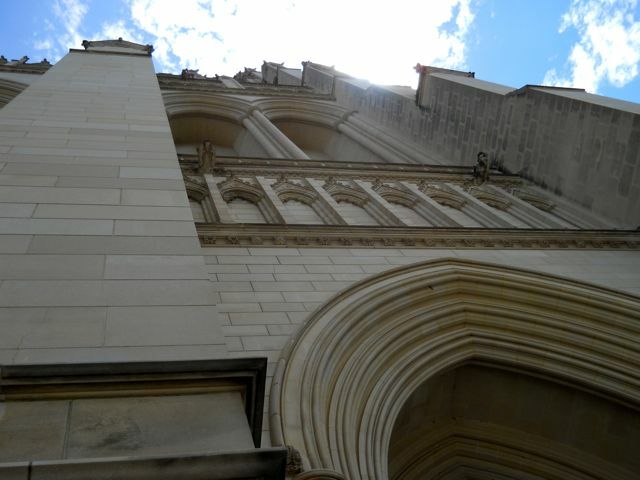 The National Cathedral stands tall, like Manute. 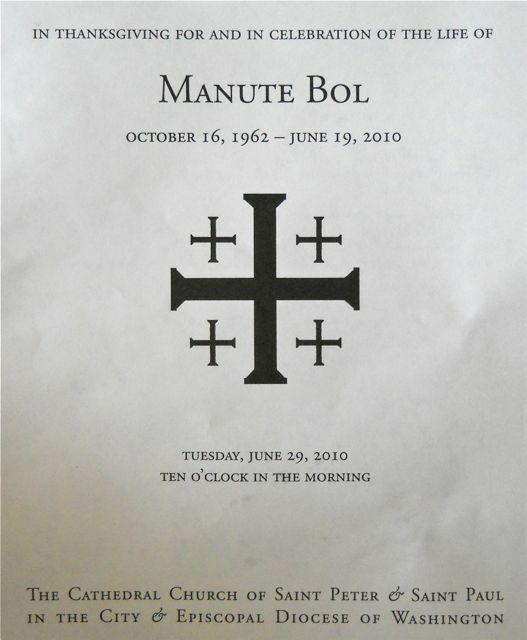 The program from former Washington Bullet Manute Bol’s funeral, July 29, 2010 at the National Cathedral in Washington, D.C. 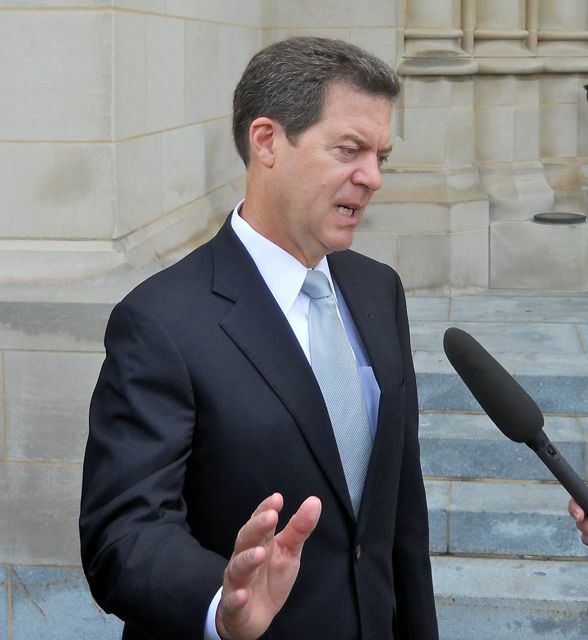 Senator Sam Brownback (R-Kansas) spoke at Manute Bol’s funeral. 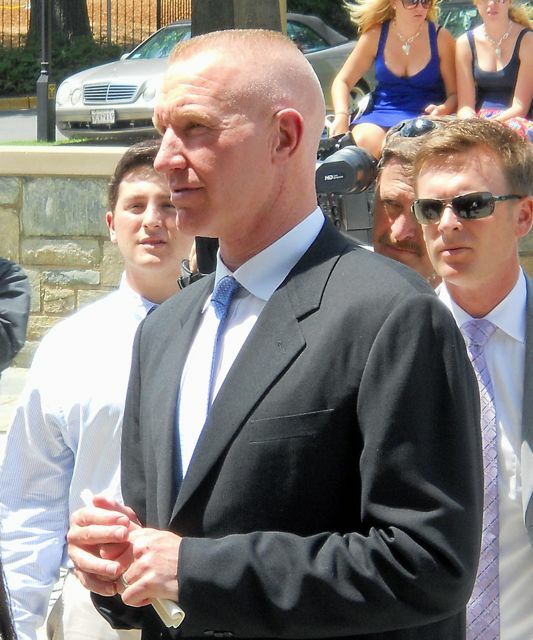 Former teammate Chris Mullin attended Bol’s funeral. Sudanese ambassador Dr. Akec K.A. 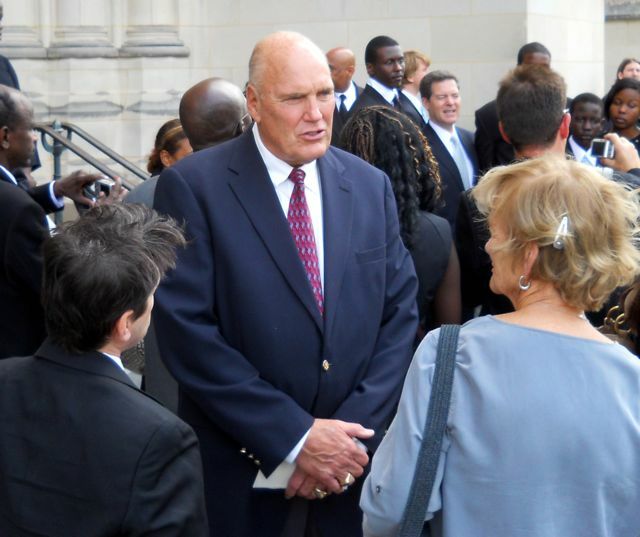 Khoc spoke at Manute’s funeral. 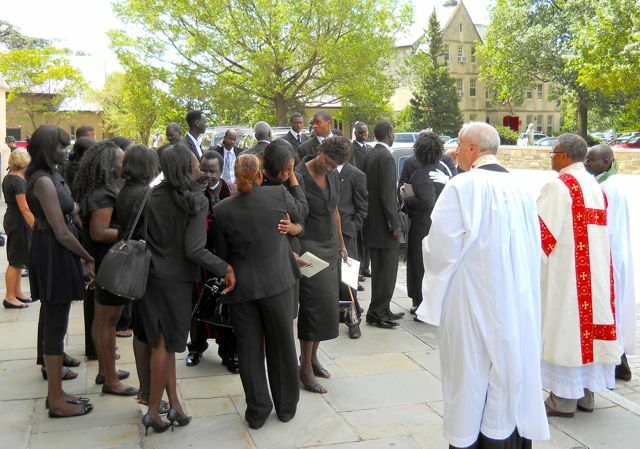 The crowd gathers after Manute’s funeral. 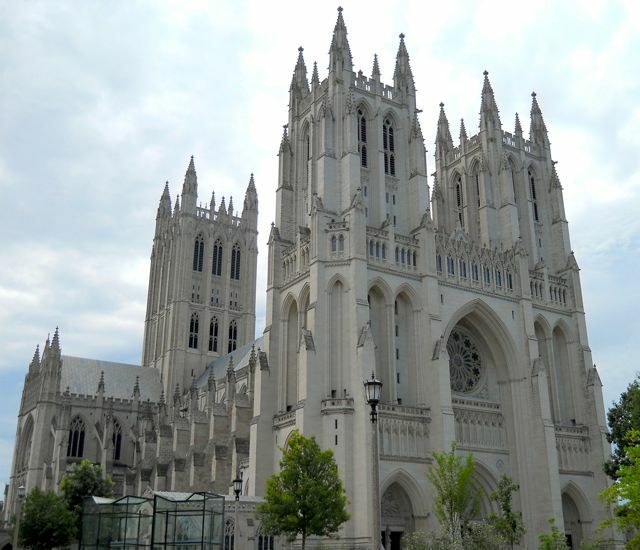 Manute’s funeral was held at the National Cathedral in Washington, D.C.
Former Maryland All-American and 17-year NBA player Buck Williams had fond memories of Manute. Congratulations to former Washington Bullet Mitch Kupchak, L.A. Lakers general manager, for putting together back-to-back NBA champions. Is anybody ever going to pronounce Kupchak’s name correctly? It’s Kup-CHAK, not Kup-CHEK. First, it was Jim Rome, who has done his show from L.A. for many years, who mispronounced his name over and over. Then it was Ernie Johnson of TNT. Then after Game 7 of the NBA finals it was NBA Commissioner David Stern saying “Kup-check.” There have probably been many others. How bout some respect for Kupchak, who has 8 NBA championship rings? Kupchak won three championships as a player (one with the Washington Bullets in 1978 when he averaged 16 points and 7 rebounds as a reserve, one with the Lakers in ’82, and one with the Lakers in ’85), and five as a general manager. Ok, Jerry West built the Kobe-Shaq threepeat Lakers, but Kupchak built the team that has made the finals now three years in a row, winning each of the last two seasons. Kupchak averaged double figures in points for five of his first six seasons in the NBA, and overall, averaged 19 points a game for his nine NBA seasons when his minutes are projected over 36 minutes. Bob Ryan of the Boston Globe, one of the most respected sportswriters in the country, wrote two years ago, “Neither the 1978 Bullets nor the 1985 Lakers could have won championships” without Kupchak. 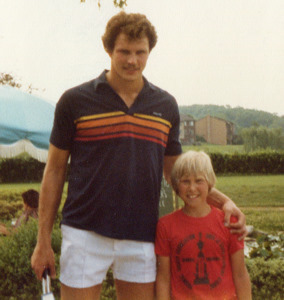 By the way, Kupchak also won a gold medal in the 1976 Olympics and was an All-American at North Carolina.